Paradise Papers: Jayant Sinha's name figures because of his past association with the Omidyar Network, which invested in D.Light, a US company with a subsidiary in Cayman Islands. 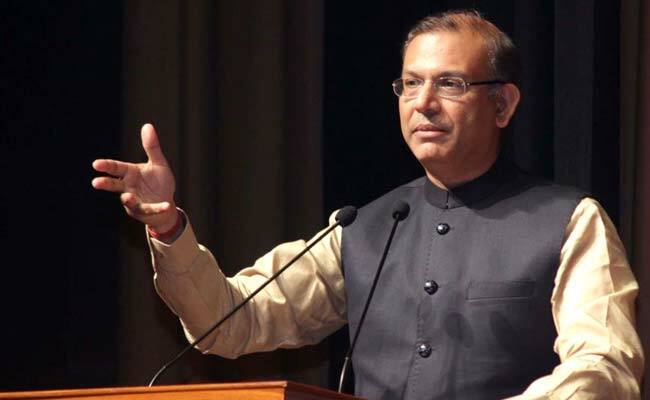 Jayant Sinha joined the Omidyar Network in September 2009 and resigned in December 2013. New Delhi: Union Minister Jayant Sinha, in a series of tweets this morning, responded to his name being listed in the Paradise Papers - an expose based on the leak of financial data from legal firm Appleby on companies and individuals who parked their untaxed wealth in offshore accounts. There are 714 Indian names in the list, according to a report published by the Indian Express today as part of a global collaborative investigation by US-based International Consortium of Investigative Journalists (ICIJ). Mr Sinha's name figures because of his past association with the Omidyar Network, which invested in D.Light, a US company with a subsidiary in Cayman Islands. "Full details have been provided to the Indian Express. 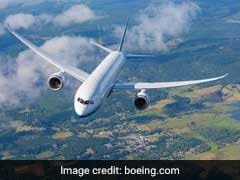 These were bonafide and legal transactions undertaken on behalf of highly reputed world-leading organisations in my fiduciary role as partner at Omidyar Network and its designated representative on the D.Light Board," Mr Sinha, the Minister of State for Civil Aviation, said in a statement that he tweeted. He also asserted that on becoming a minister, he resigned from the D.Light board and ended his involvement with the company. Mr Sinha joined the Omidyar Network in September 2009 and resigned in December 2013. The company was set up in 2004 by eBay founder Pierre Omidyar and his wife Pam to invest in and help innovative organizations. The Indian Express reports that before Mr Sinha was elected to parliament in 2014 and later became a union minister, he worked with Omidyar Network as its managing director in India. Omidyar Network invested in a US company D.Light Design. Express reports that leaked records of Appleby show Mr Sinha served as Director of D.Light Design, which has a subsidiary in Cayman Islands in the Caribbean Sea. D.Light Design took a loan of $3 million through its Cayman Islands subsidiary from an investor based in the Netherlands. Appleby records mention a loan agreement dated December 31, 2012. Mr Sinha was director at D.Light Design when these decisions were taken, the Express report says. Mr Sinha tweeted that the transactions were done for D.Light as an Omidyar representative, "not for any personal purpose." India ranks 19th out of the 180 countries that figure the Paradise Papers. Most of the records investigated are from Appleby, which is based in Bermuda.